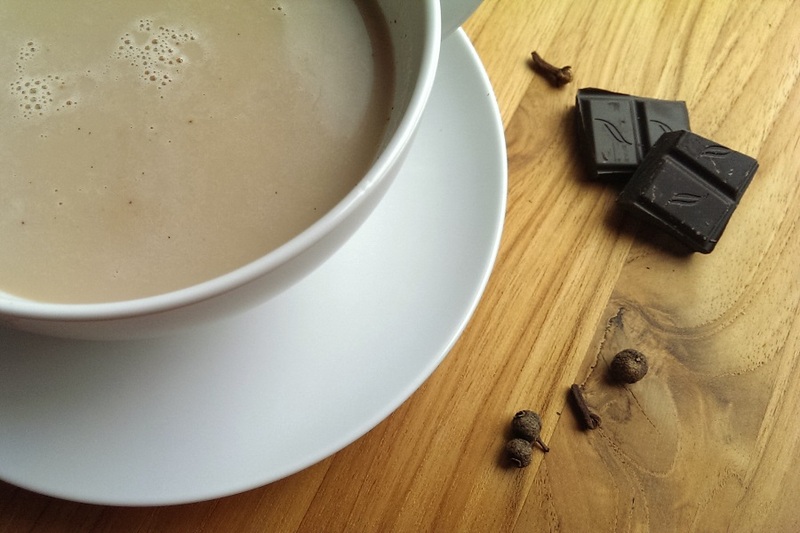 Instant Chocolate Chai Latte – Yes, Chocolate. Over on the home blog, Instant Chai Latte Powder is doing pretty well, mostly thanks to the pinning powers of some of my colleagues here! So naturally, it seemed only fair that I return the favour, and what better way to do that than with the follow-up concept that one of my local friends has been demanding asking ever so nicely for? OK, I lied. Actually, if you want to know the truth, the chocolate chai “tea” latte was actually my first try, even before the normal instant chai latte. I was unable to find the instant tea, and so I was like, well hot chocolate is *kinda* like tea. Yeah. That could work. And so I used only cocoa powder, sugar, and the spices. Well the end result of that first attempt… left me at a loss for words. It was kind of yummy in an off-putting way. It wasn’t that it tasted bad, or even wrong, exactly. It was like I was in the presence of a super congenial three-headed abomination that wanted to play checkers. Or maybe like a mosh pit at a Philip Glass concert. I dunno how to describe it except that obviously (and weirdly) no food-related comparisons came to mind, and there was something off about it that made me about as uncomfortable as a wet cat. Anyway, because it wasn’t hideous–just… strange–I set it on the back burner for another go. When I actually had the instant tea. And I did eventually get the tea, although it involved some cross-border shopping. REGULAR instant chai tea? Epic win. Time to get down to bidness. And I did. Second try: a success. 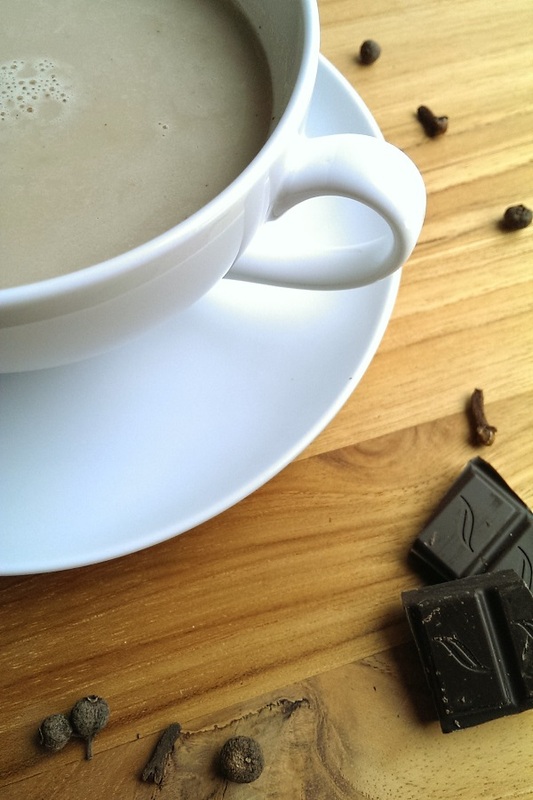 Instead of hot chocolate swimming with the flavour of a chai tea, you have a chai tea with a kiss of chocolate. Imagine your favourite hot chocolate and your favourite chai tea falling in love, getting married, and having babies that punch you in your face with the epic power of awesomeness. Then you have the instant chocolate chai latte. Right here, baby. Of course, for my friends in Canadia, there’s still the sourcing problem for the instant tea powder. Perhaps if we beat down enough doors, we can get our grocers to import the instant tea that doesn’t taste of brown lemonade. 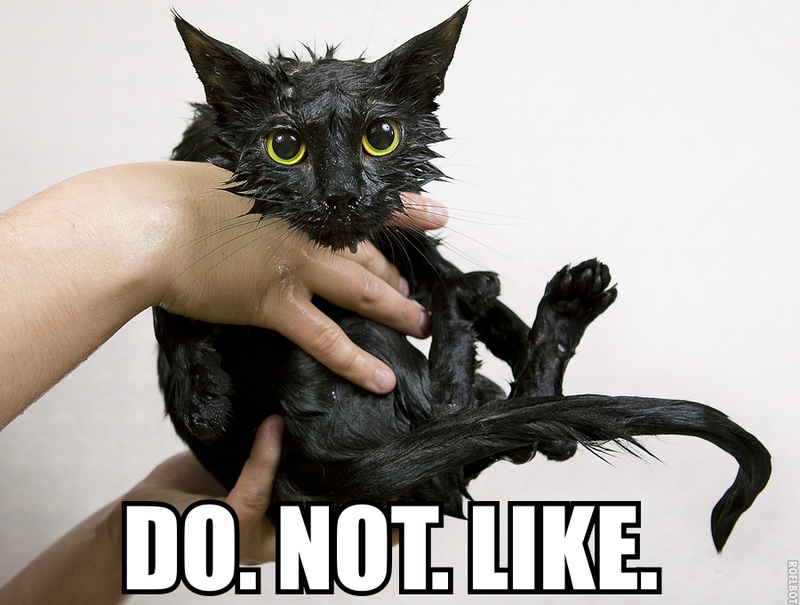 But then again, it is that time of year where you can’t swing a wet cat without hitting someone who intends to go cross-border shopping in the next week ANYWAY. So give em $20 and send them to any Super Target to buy as many cans as they can black-market smuggle back in their trunks. And then make the delicious, delicious chocolate chai latte. By the way, if you decide to give them away as Christmas presents, you may want to invest in a kneeling pillow to place in front of your La-Z-Boy. Do you like chai latte? Do you like hot chocolate? If the answer to both of these is "YES," then you've gotta try this! Combine all ingredients, and store in a well-dried airtight container. 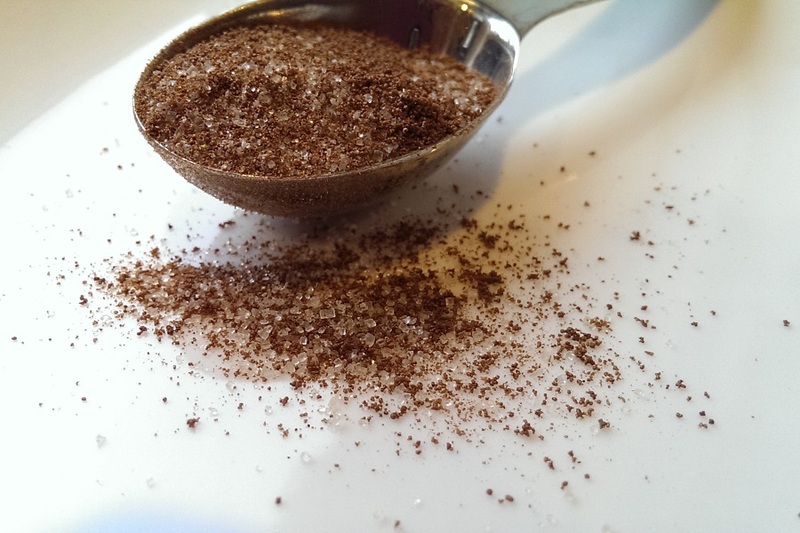 Cocoa powder can clump, so make sure you grind the lumps with the flat of the spoon after mixing with the other ingredients.